Amy Sweeting, senior major gifts and partnerships manager and Vicky Tayler, major donor manager, tell us about what it's like to work for Missing People and the major donor manager role they're recruiting for. 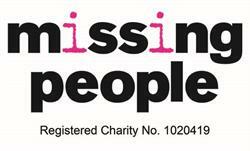 Missing People is the only charity in the UK which is dedicated to bringing missing children and adults back together with their families. For their families, life can feel like a desperate and unbearable struggle as they wait for days or even years. That’s why we are here for missing people and their families, 24 hours a day, 365 days a year, to provide free and confidential support by phone, text or email. What role are you currently recruiting for? We are recruiting for the role of major donor manager. This role has responsibility for delivering Missing People's growing major donor programme, working externally and across the organisation to ensure every opportunity is maximized. The role will also be responsible for identifying, agreeing and planning the approach of HNWIs to raise vital funds for Missing People to an agreed annual target. The ideal candidate will be a highly motivated fundraiser who can work on their own and as part of a team. They will have excellent organisational skills and have a positive and pro-active approach. They will be trustworthy, professional and able to create long-term relationships at all levels in a warm and relaxed style. The successful candidate will be quick to respond to opportunities and be an innovative and creative thinker. Why would someone want to work for Missing People? 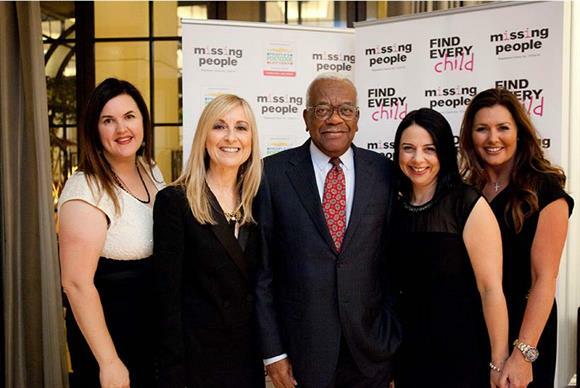 Missing People is one of The Sunday Times 100 Best not-for-profit organisations to work for in the UK in 2016! We have also been awarded the Best Companies 2 Star accreditation which represents an outstanding level of staff engagement. Missing People is an incredible place to work – and that’s because of the people who work and volunteer here; because the values of the organisation radiate throughout the charity; because we have strong and inspiring leadership; and because the people we help are at the heart of everything we do. What exciting projects are you working on? We are at a very exciting time at Missing People, with the launch of our new five year plan which outlines the need to double the amount of people we help in the next five years and therefore double our income. We’ve got lots of great ideas on how we can do this through our major donor programme and events. All we need is an innovative fundraiser to help us make it happen! We are currently working on our first ever Night of Light Gala – this is a huge opportunity for the charity and a really exciting project to work on! What opportunities for training and development are there? Missing People knows the importance of personal and professional development. We encourage learning and development through training programmes, 10% Time Scheme and study leave. Moreover, we have a team full of experienced fundraisers to learn from and actively encourage attendance to relevant training and networking events throughout the year. What tips would you offer applicants? Demonstrate in your application how you meet the criteria and make sure you highlight all relevant experience and skills that you have and why you want to work at Missing People. If you get an interview, just be yourself! We’re a very down to earth and passionate team, just show us how you would fit in. How can I sum up this incredible charity full of wonderful staff and volunteers? I can’t – you’ll have to come and be blown away yourself. I’ll give you a little insight though – we all LOVE coming to work every day. What is it like to work at Manchester International Festival? What is it like to work in the policy and influencing division at Independent Age? Harris Hill: What makes a 'wonderful workplace'? What is it like to work at The Trussell Trust? Visit our Wonderful Workplaces in the Third Sector hub page for insider insight into what it's like to work at a variety of organisations in the charity and not-for-profit sector. To discuss working with Third Sector Jobs to support your recruitment campaign, please call Gabriella Lee on 020 8267 4085 or email gabriella.lee@haymarket.com.